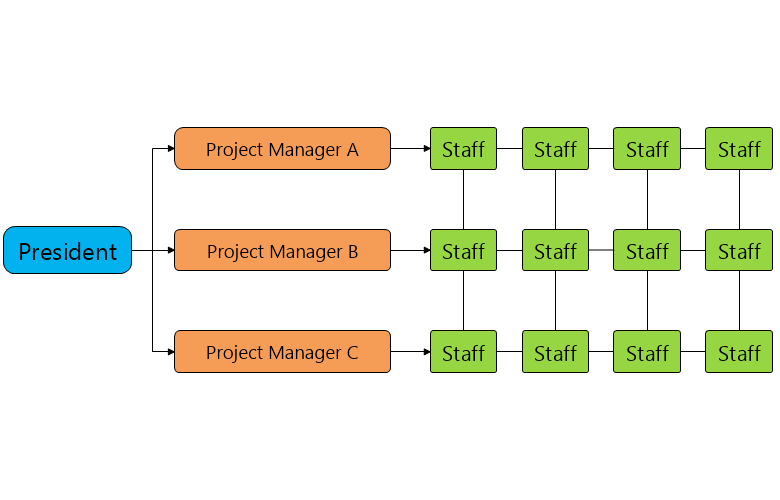 The Project Structure Organizational Chart represents a small organization in which the work is divided on projects. This kind of organizations are most often new companies and startups that are innovatively oriented. At the same time they are not large enough to separate the employees on functional departments.